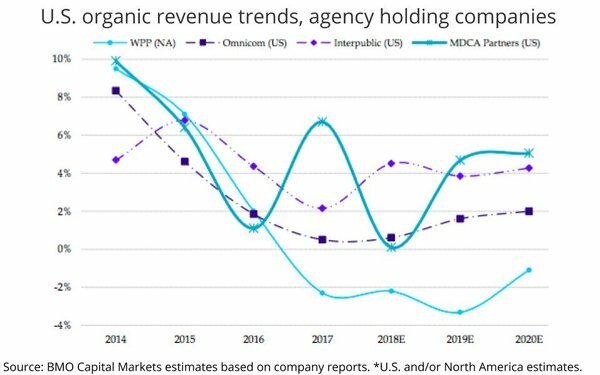 Citing “mixed macro data points,” a leading Wall Street equities research team sent a warning signal for the 2019 advertising economy and lowered stock price estimates for most of the major agency holding companies. “We think caution is warranted for the 2019 advertising outlook,” BMO Capital Markets’ Daniel Salmon writes in the note sent to investors this morning. 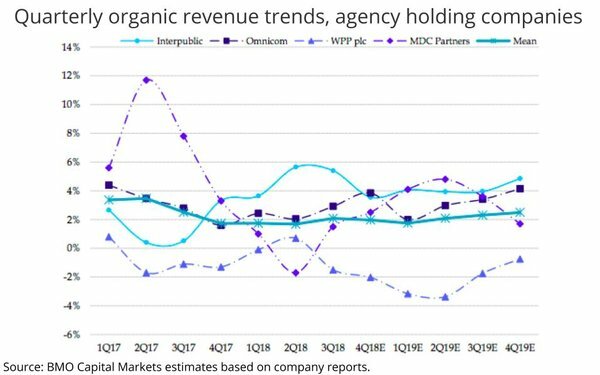 Salmon lowered organic growth projections for Omnicom, Interpublic, WPP and MDC Partners, with the mean projected to expand around 2% this year.